Fukuoka, Japan – March 19, 2016: Fukuoka on March 19, 2016. 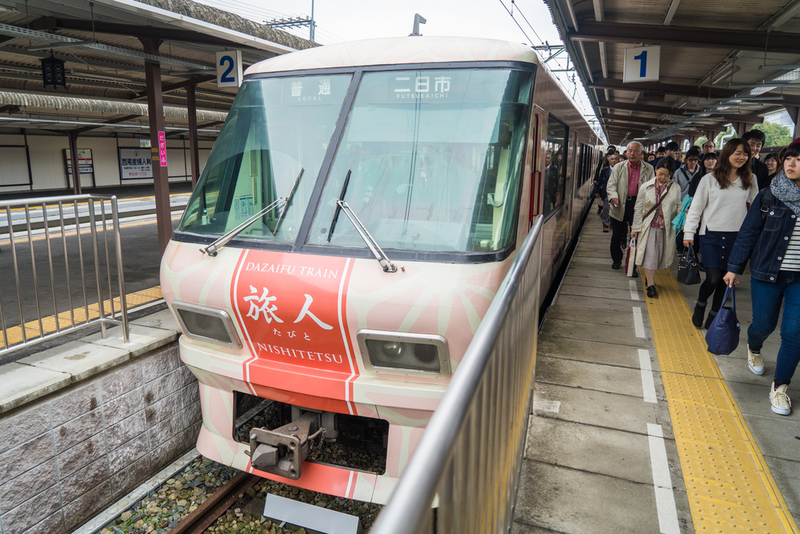 Tourists are getting off the Dazaifu’s famous Pink train. Fukuoka, Japan – March 19, 2016: Fukuoka on March 19, 2016. 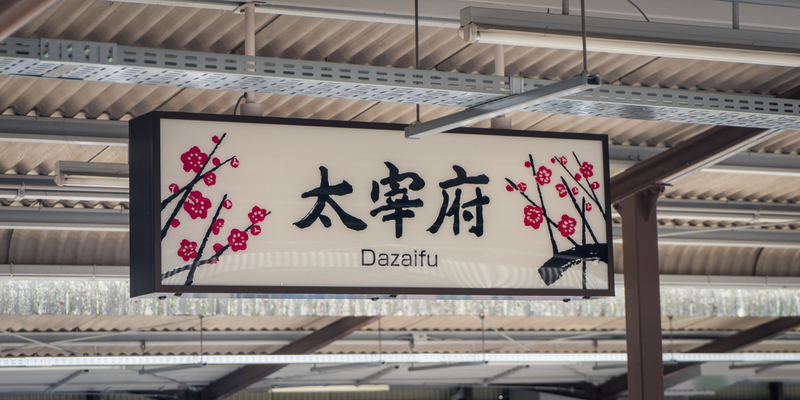 A signage with the word Dazaifu with plum flowers in Dazaifu station. 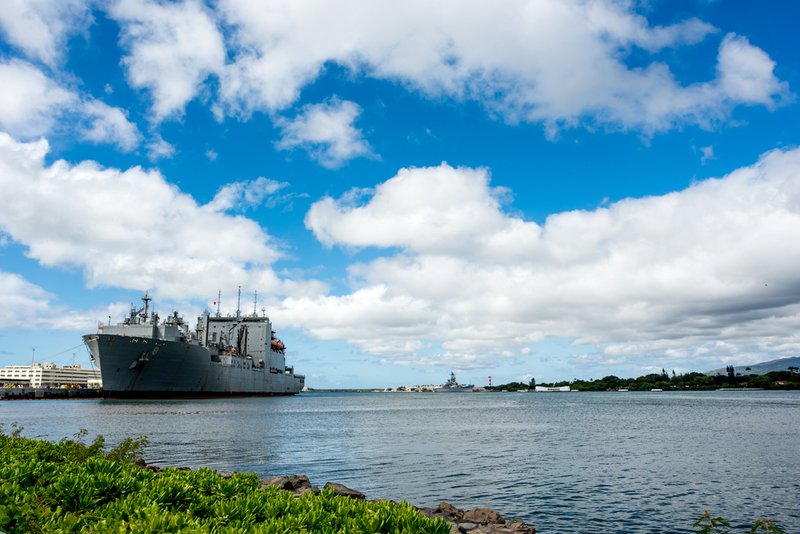 Fukuoka, Japan – March 19, 2016: Fukuoka on March 19, 2015. 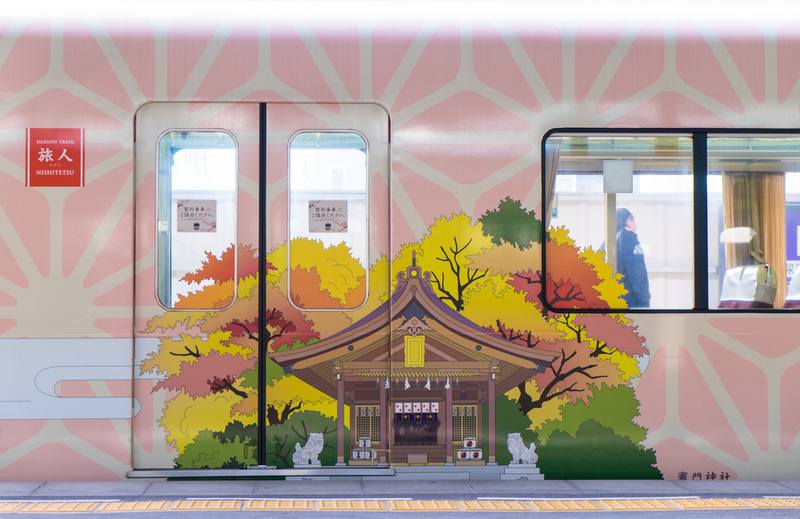 The pink decorated train that run from Tenpin station to Dazaifu station. 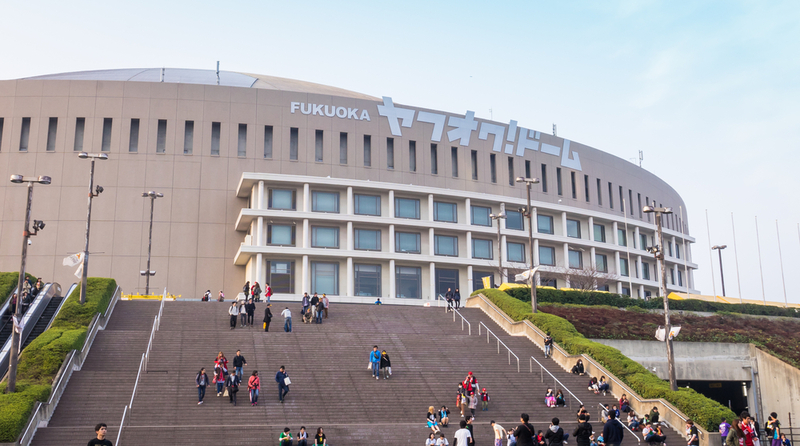 Fukuoka, Japan – March 20, 2016: Fukuoka on March 20, 2016. Tourist having a hard time buying Japan Subway ticket. Fukuoka, Japan – March 19, 2016: Fukuoka on March 19, 2016. 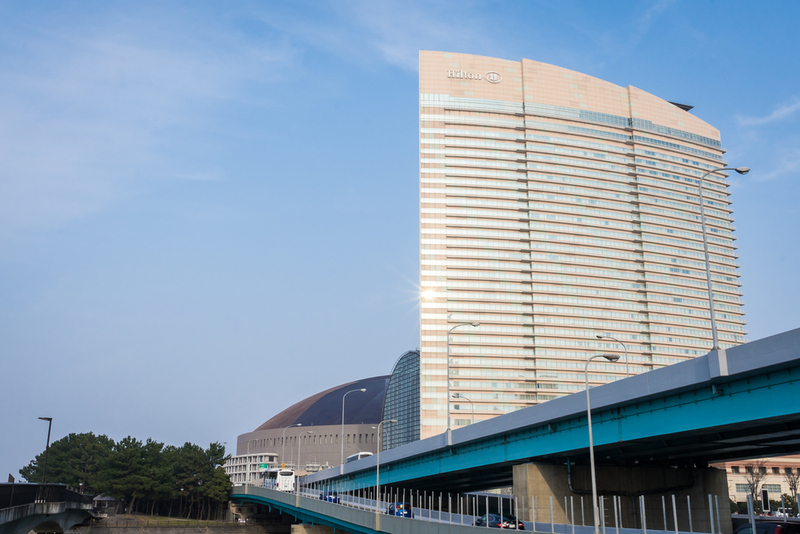 Hilton Fukuoka Sea Hawk is a Luxury hotel located next to the Baseball stadium. Fukuoka, Japan – March 19, 2016: Fukuoka on March 19, 2016. Fukuoka Hawks baseball team supporters are entering the Yahuoku stadium. Fukuoka, Japan – March 17, 2016: Fukuoka on March 17, 2016. Japanese Children in having fun in public playground. Fukuoka, Japan – March 17, 2016: Fukuoka on March 17, 2016. 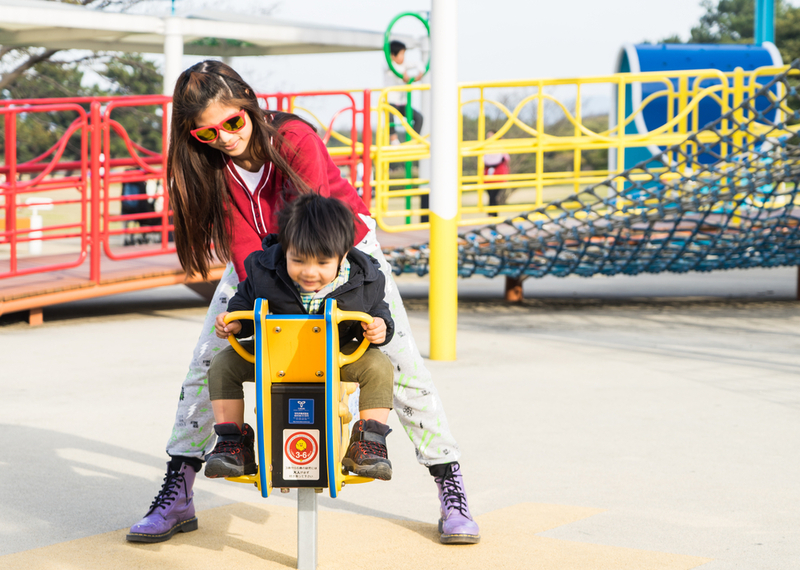 Japanese Family is having fun in Public playground. Fukuoka, Japan – March 19, 2016: Fukuoka on March 19, 2016. 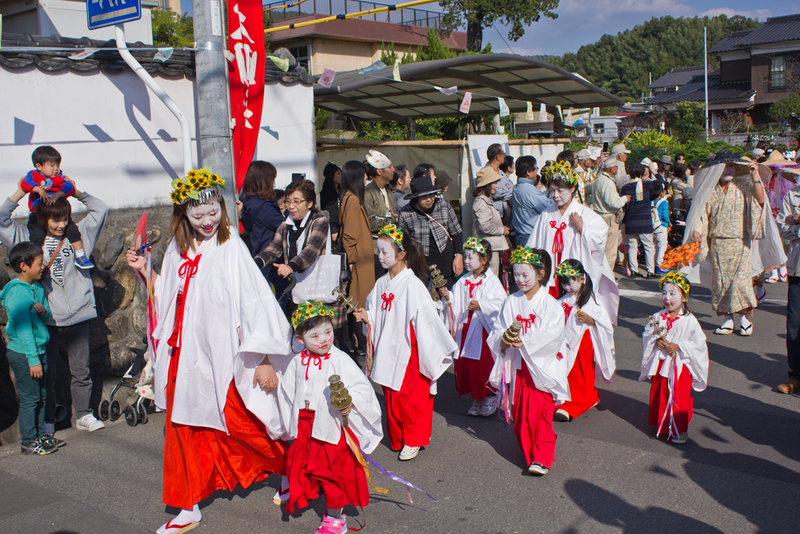 Tourists are traveling in the shopping street of Dazaifu shrine. Fukuoka, Japan – March 19, 2016: Fukuoka on March 19, 2016. 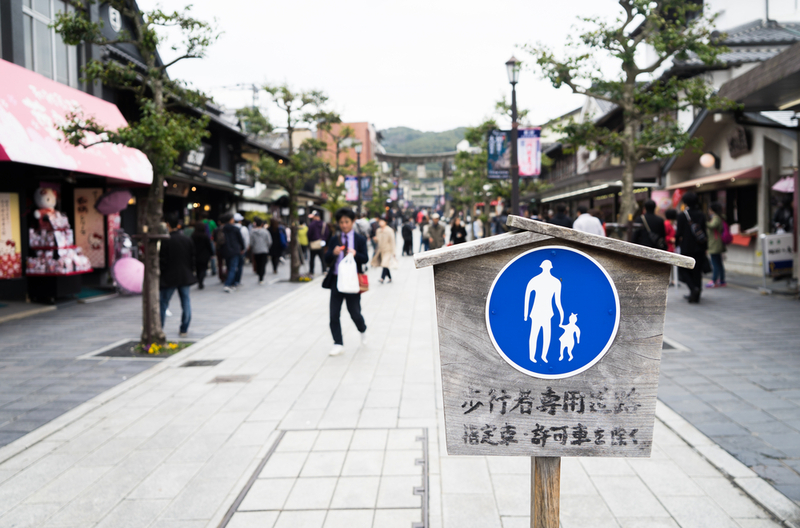 A Child Loss warning signage stating in front of a Japanese shopping street. Fukuoka, Japan – March 19, 2016: Fukuoka on March 19, 2016. People are crossing the famous red bridge of Dazaifu shrine. Fukuoka, Japan – March 19, 2016: Fukuoka on March 19, 2016. 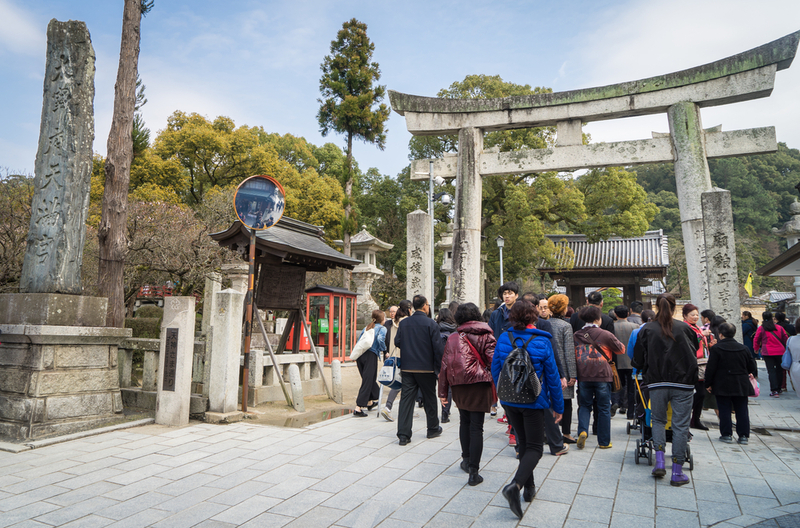 A Large group of Chinese tourists enter Dazaifu Temple. Fukuoka, Japan – March 19, 2016: Fukuoke on March 19, 2016. A large group of Chinese tourists are walking in to Dazaifu Shrine. Fukuoka, Japan – March 19, 2016: Fukuoka on March 19, 2016. 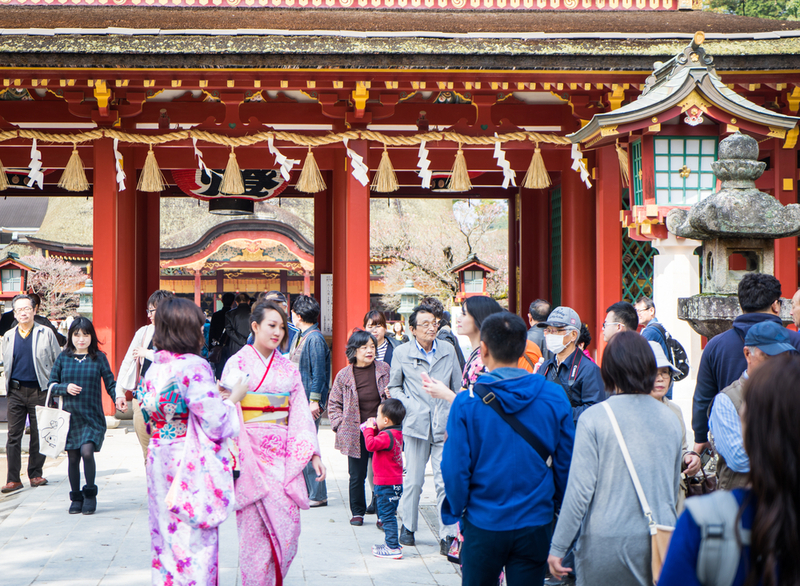 Tourists are dressed up in Kimono in Dazaifu Shrine. Fukuoka, Japan – March 19, 2016: Fukuoka on March 19, 2016. 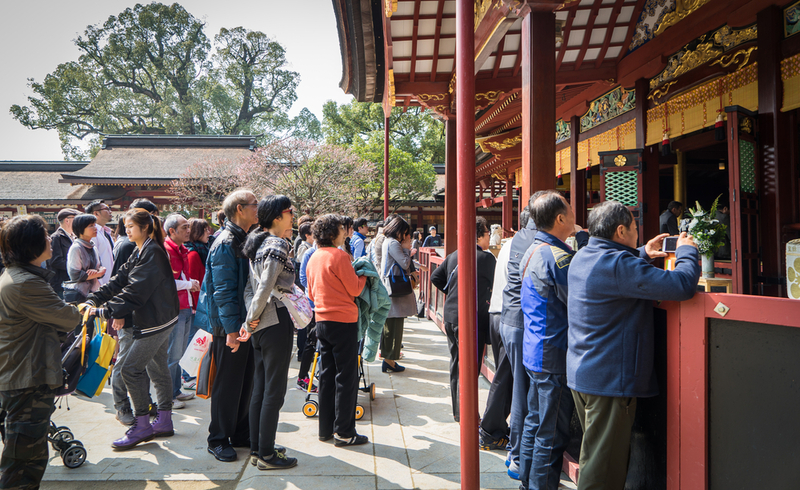 Hundreds of Chinese tourists are enter the Dazaifu shrine. Fukuoka, Japan – March 19, 2016: Fukuoka on March 19, 2016. 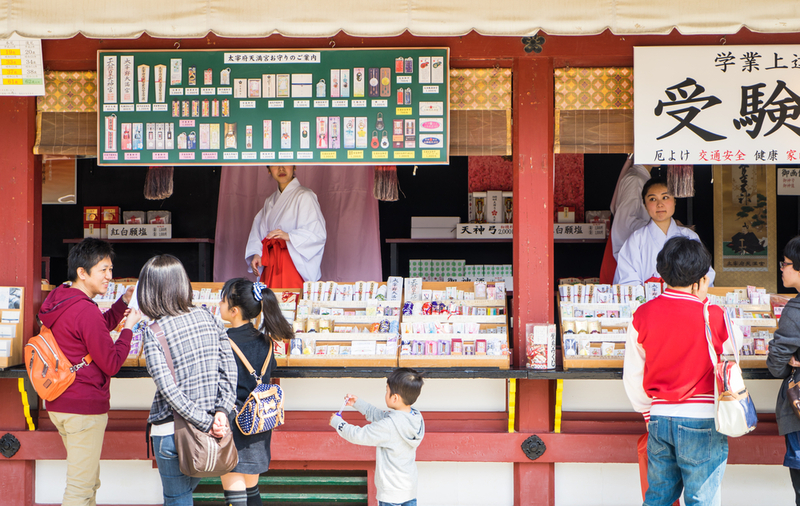 Tourists are buying souvenir from the retails in Dazaifu Temple. Fukuoka, Japan – March 21, 2016: Fukuoka on March 21, 2016. 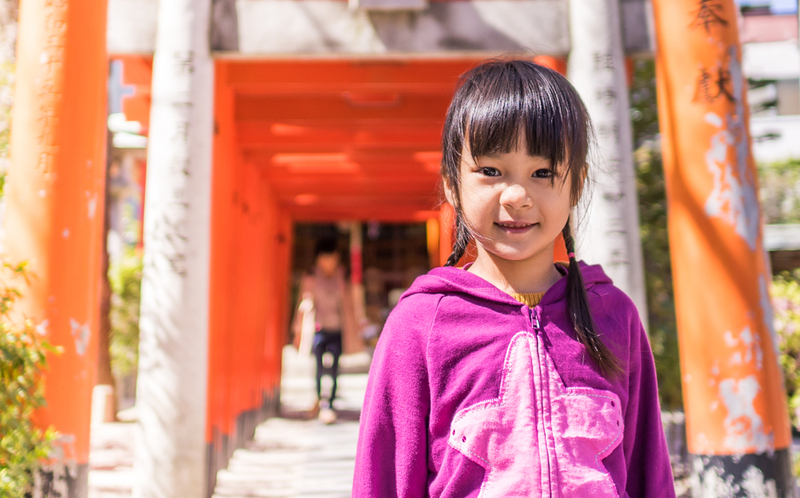 An Asian girl standing under Tori Entrance of Sumiyoshi Shrine. Fukuoka, Japan – March 19, 2016: Fukuoka on March 19, 2016. 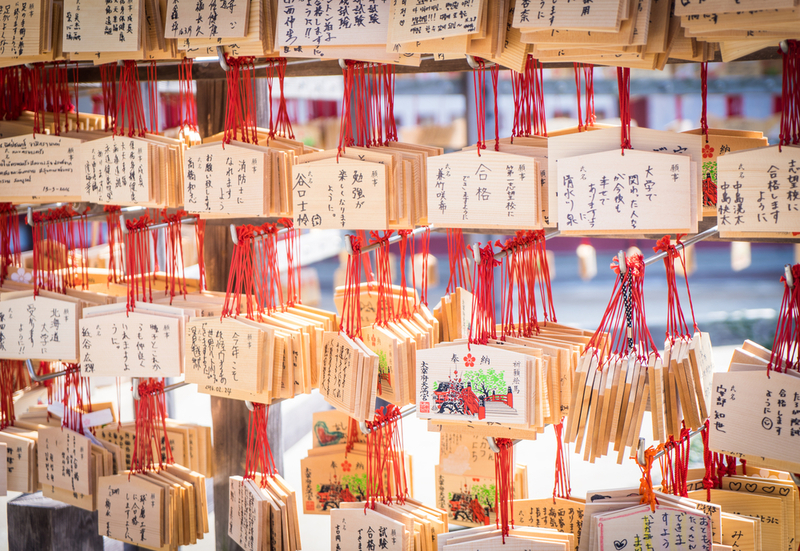 Tourist are hanging the Wooden tags in Dazaifu Shrine for good luck. Fukuoka, Japan – March 19, 2016: Fukuoka on March 19, 2016. 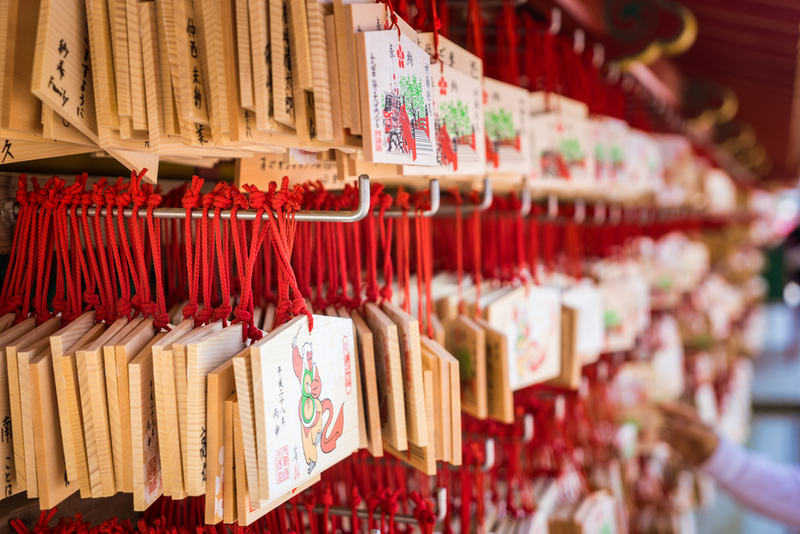 People are hanging the fortune wooden tags for good luck. 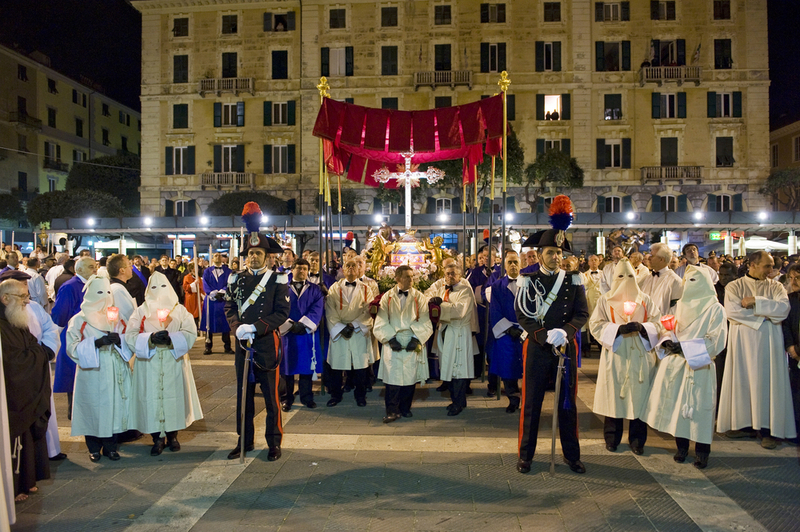 Fukuoka, Japan – March 19, 2016: Fukuoka on March 19. 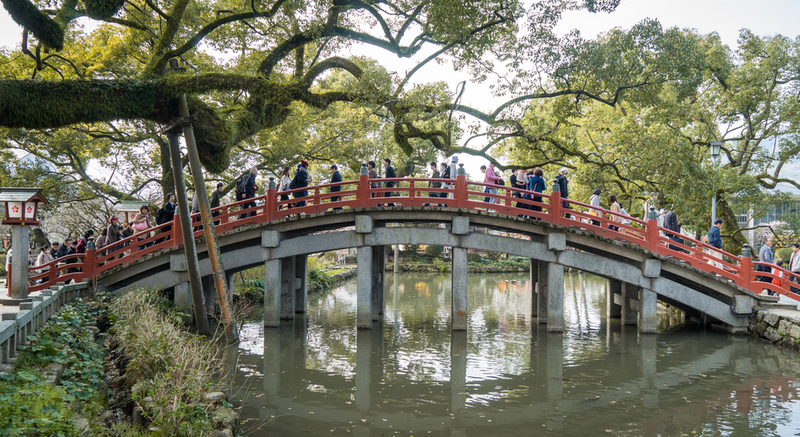 Tourists are walking crossing the Red bridge of Dazaifu Shrine. Fukuoka, Japan – March 19, 2016: Fukuoka on March 19, 2016. 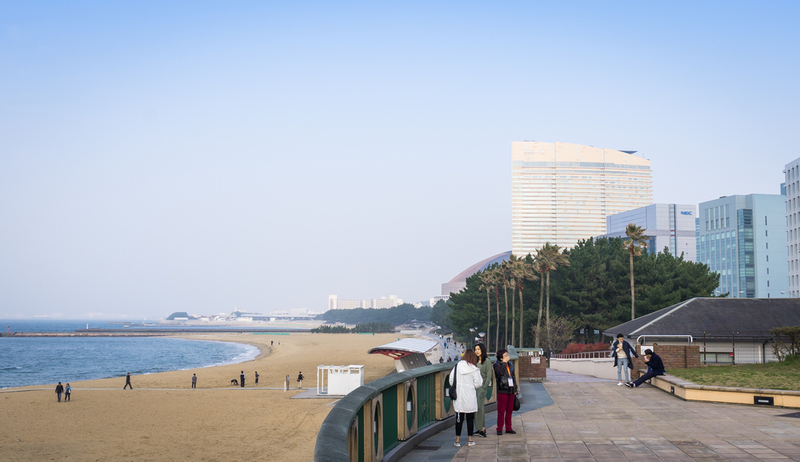 Tourists are taking picture on the beachside walk of seaside momochi park. Fukuoka, Japan – March 19, 2016: Fukuoka on March 19, 2016. 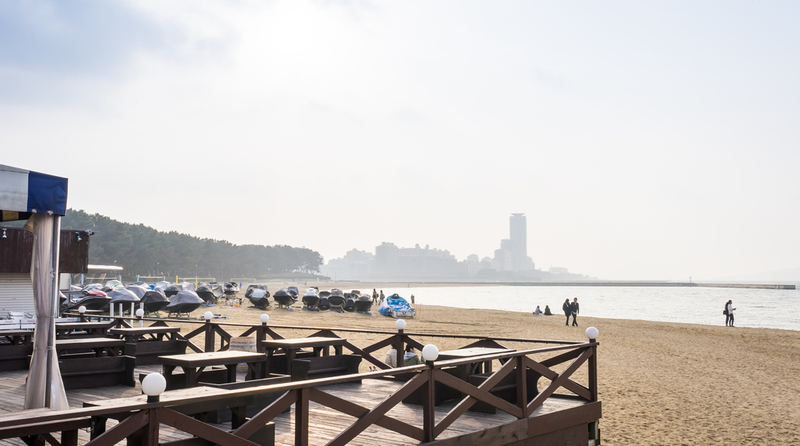 Tourists are enjoying Seaside Momochi Beach. Fukuoka,Japan – March 19, 2016: Fukuoke on March 19, 2016. Tourists are walking in the beach of Seaside Momochi. Fukuoka, Japan – March 20, 2016: Fukuoka on March 20, 2016. Commuters are traveling to Fukuoka Tenjin Station. Fukuoka, Japan – March 21, 2016: Fukuoka on March 21, 2016. 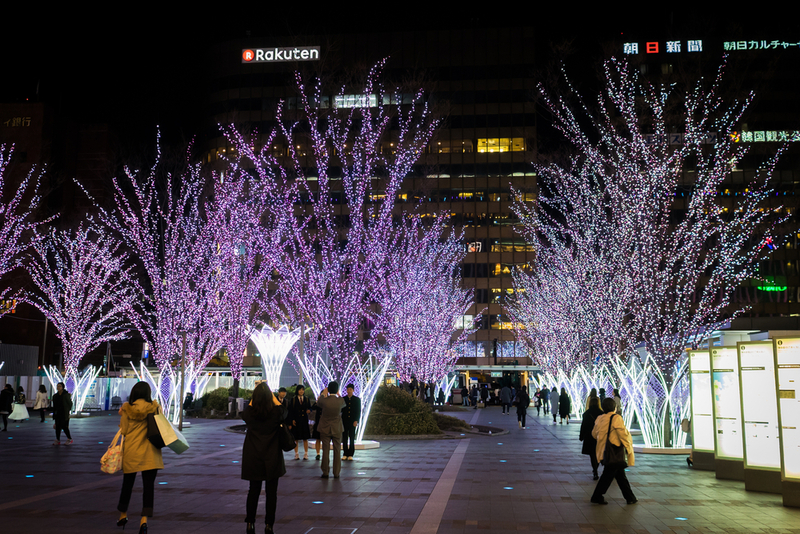 People are taking picture of holidays light decoration in Hakata Station. Fukuoka, Japan – March 20, 2016: Fukuoka on March 20, People are commuting on the street of Tenjin for night life. 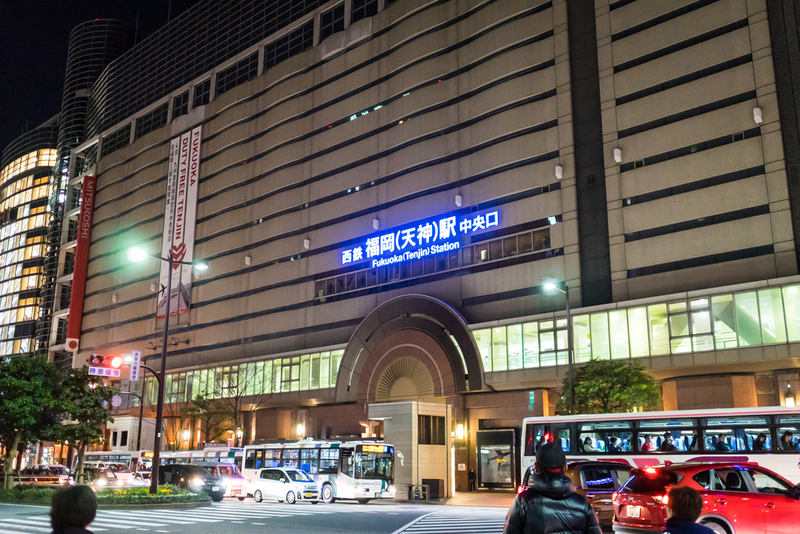 Fukuoka is a great city for people to explore that are new to Japan, this is because it’s easy to get around and if you’re staying at a Fukuoka hotel in the city you’ll never be far away from a subway station and the trains are connected to almost every major attraction. The subway is a relatively easy to navigate and inexpensive although many people cycle and this is another good way to be able to actually see the city out in the open. 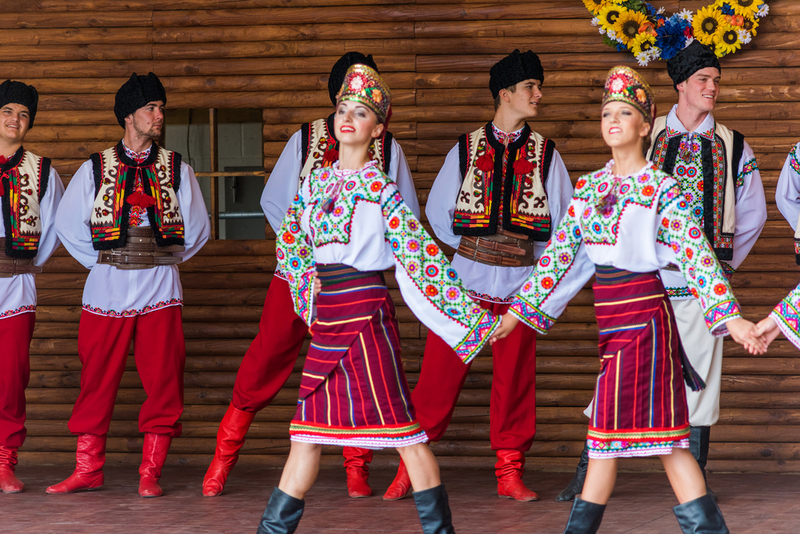 While riding the subway or pedalling around town here is a guide to the top ten Fukuoka attractions. 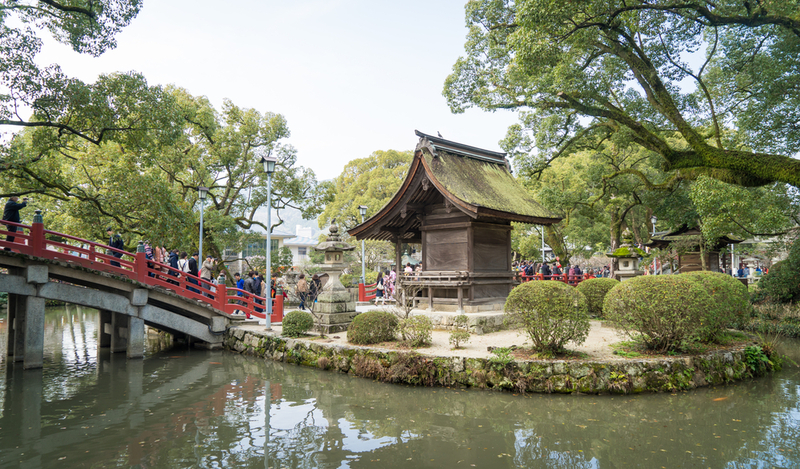 The most important shrine in Fukuoka and is only behind Kyoto’s Kitano Tenmangu Shrine as the most significant throughout the whole of Japan. Dedicated to Sugawara Michizane, a notorious scholar who is now celebrated as the god of scholars and culture, Temman Tenjin. The grounds of the shrine have 6,000 plum trees and this is the ideal place to be when they come into blossom roughly one month before cherry blossom season. 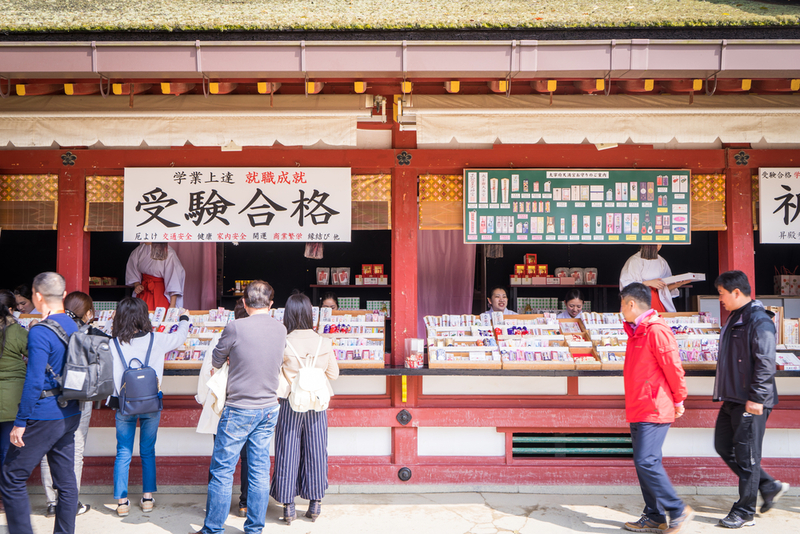 The shops around the shrine sell all sorts of good luck charms and the site is popular with students who come to pray to Michizane for good luck in their exams. A building with iconic status which has a magnificent presence on the Fukuoka skyline. The tower stands at an impressive 234m, is constructed using 8,000 mirrors and cost $60 million to build. 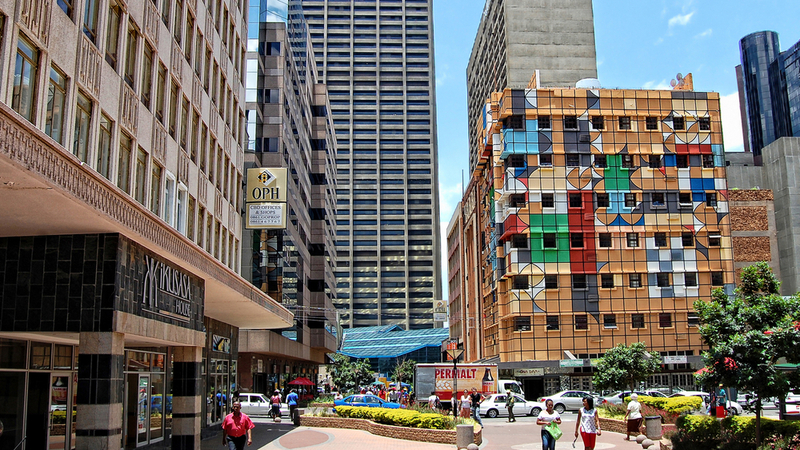 For anyone wanting a spectacular view of the city the observation deck offers just that and is found at 123m. 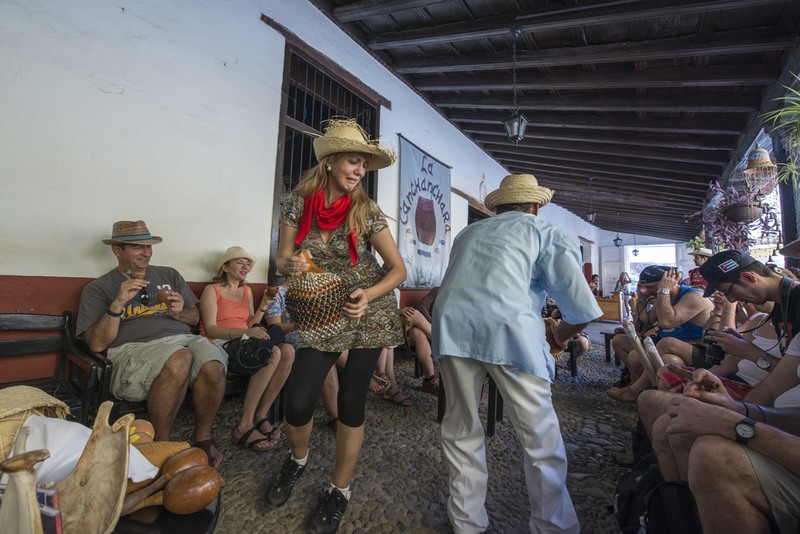 There’s also a caf� serving food and the deck provides a 360 degree experience. 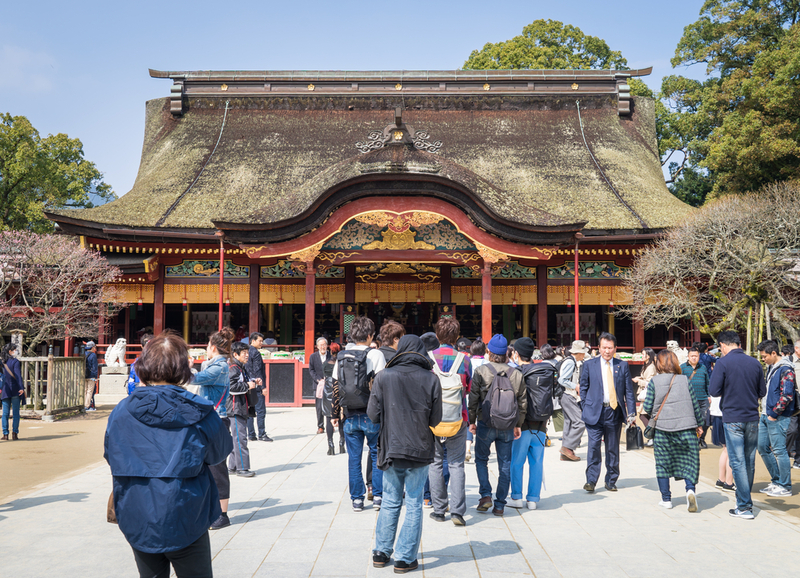 A truly enormous building and visitors can walk there from the Tenmangu Shrine in Dazaifu. 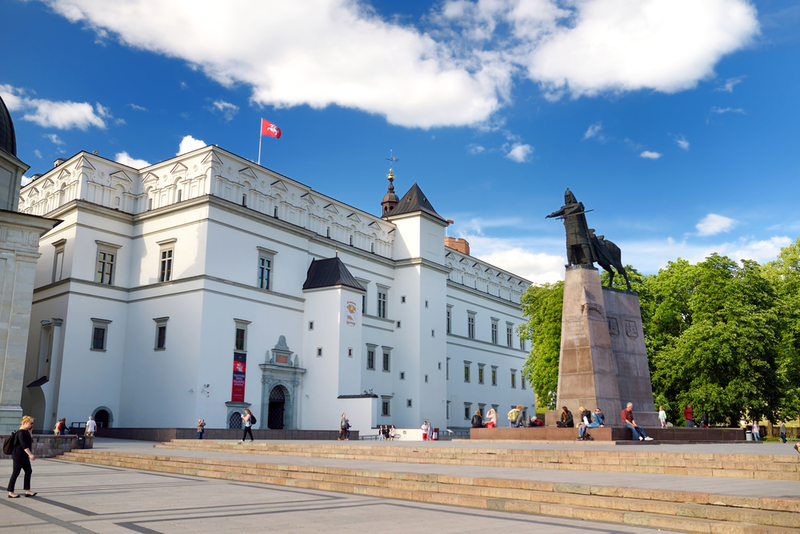 Inside are hundreds of exhibits showcasing Japanese culture and significant artefacts from history. 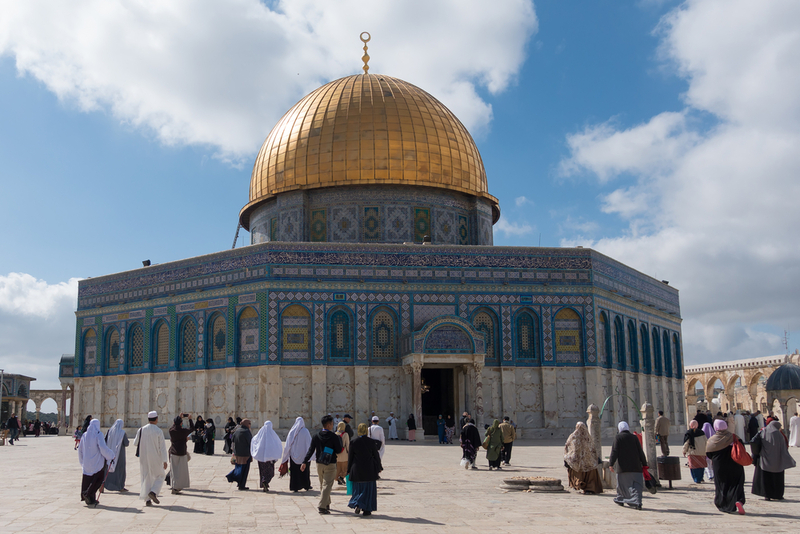 There are only three others in Japan in Tokyo, Nara and Kyoto which makes the museum all the more special. 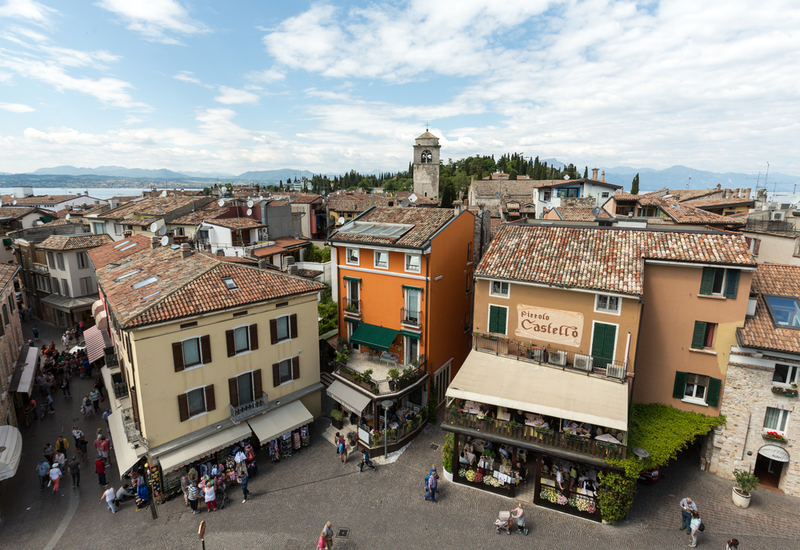 A paradise for shoppers and the building itself is quite unusual with bright pink colours and a canal in the centre which features a water show at various times of the day. 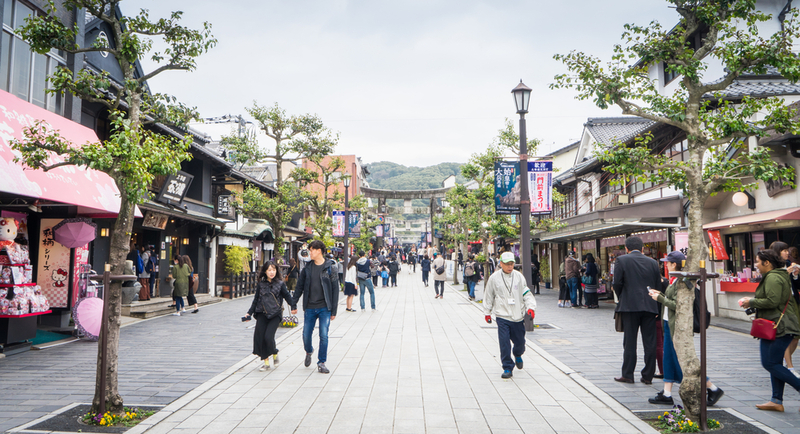 Designer labels hang with the most fashionable Japanese designs in about 250 shops and there’s an abundance of restaurants for shoppers that have an appetite after browsing the five levels of retail heaven. If it’s warm and the sun’s out try Momochi beach for a swim and the Maruzon pier has some good restaurants and shops if the heat gets too much. 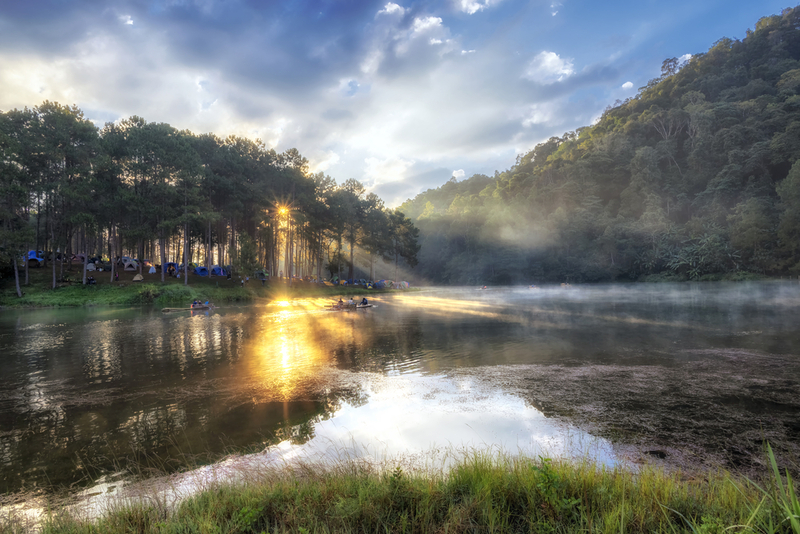 Popular with locals due to the pretty pond in the middle and the 2km track around the outside where people often jog or take a leisurely walk if things get too crowded in town. Previously a separate city, Hakata was joined with the castle town to make Fukuoka in 1889. The district has many things to see and do including the Hakata Machiya Folk Museum which provides an insight into what life used to be like. 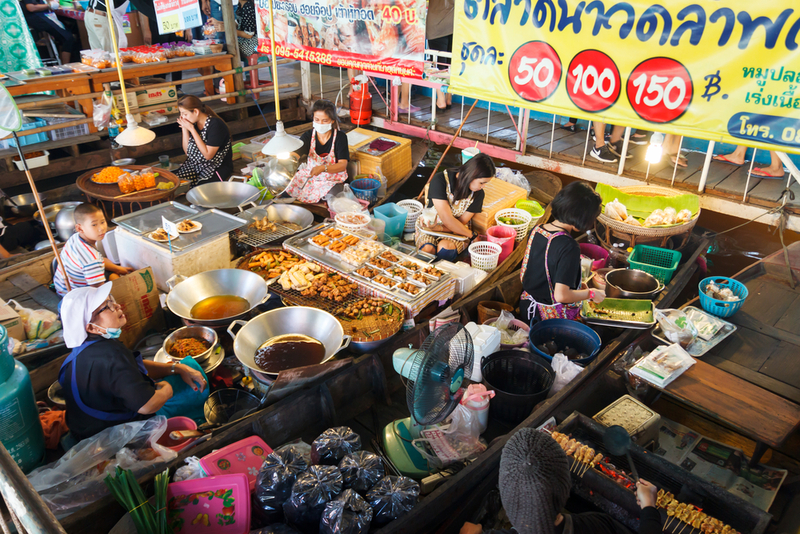 To sample the tastes of Fukuoka, street vendors here will be setting up food stalls called Yatai at night time which serve excellent food and the Hakata Ramen is one dish to definitely try. Another shopping mecca with two big department stores in Mitsukoshi and Daimaru. 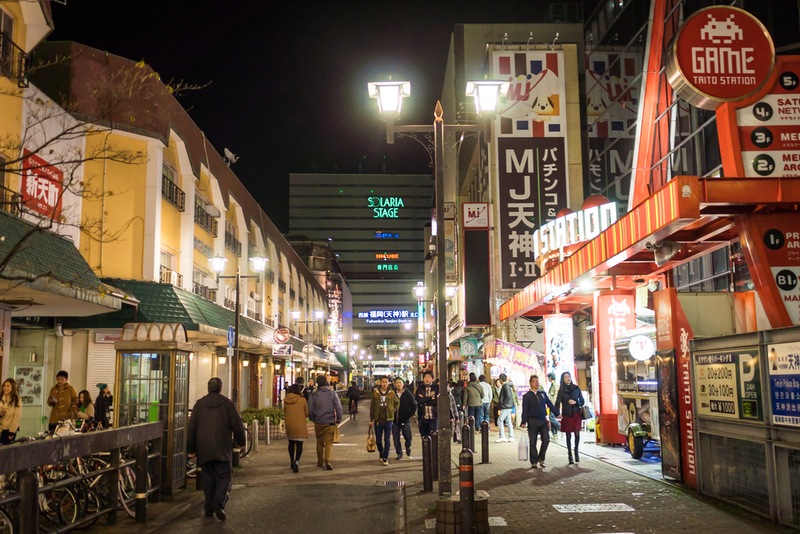 There’s also an underground shopping centre that joins up with the subway and the Daimyo area has many, many trendy boutique shops. The first ever Zen temple in Japan when it was made in 1195. 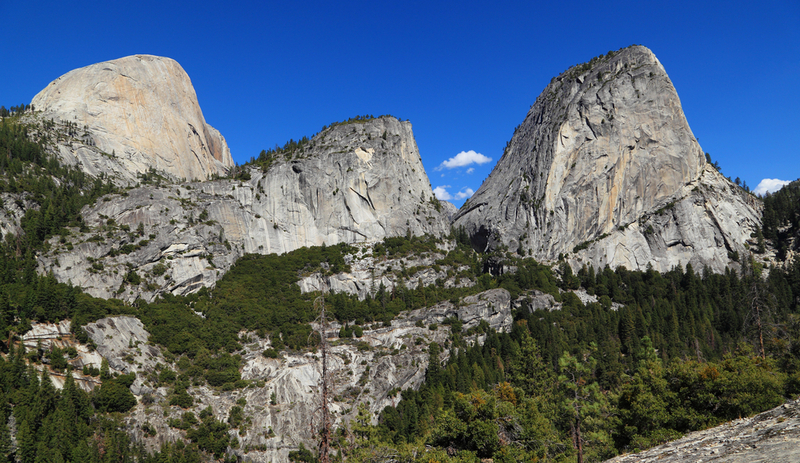 Since that time it’s been damaged by fire and has needed rebuilding but the Zen principles always remain. A must for baseball fans as the people of Fukuoka go crazy for their local team the Softbank Hawks when they play at the Dome. Games at the stadium aren’t expensive too costing around 1,000 Yen to sit in the outfield. Lek Boonlert is an editor and content reviewer at DirectRooms and is responsible for all Fukuoka Hotel content. 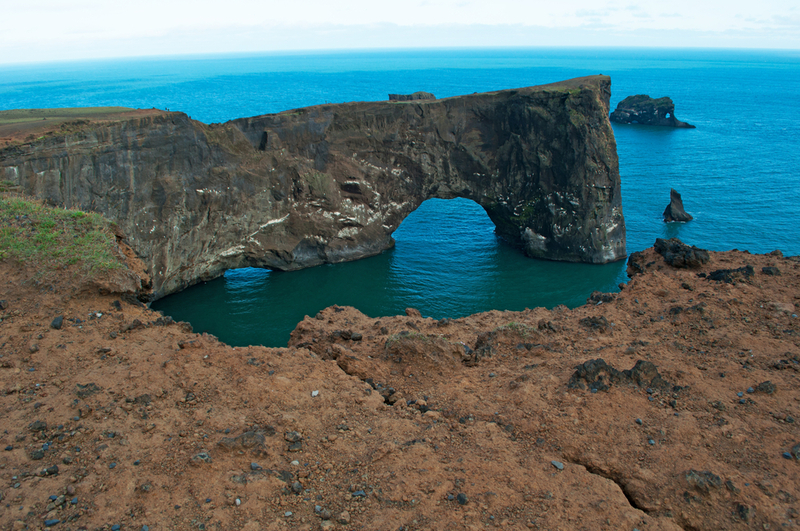 Welcome my fellow visitors! 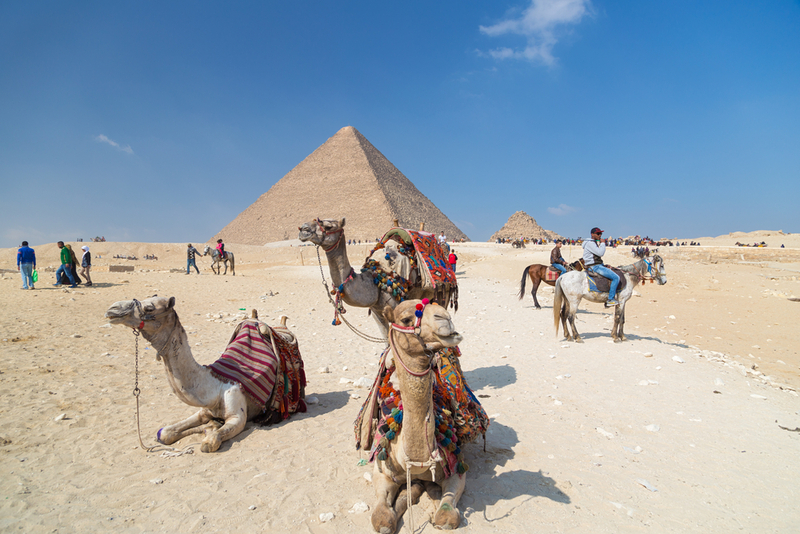 I'm your web editor enthusiastic about the world wonders. 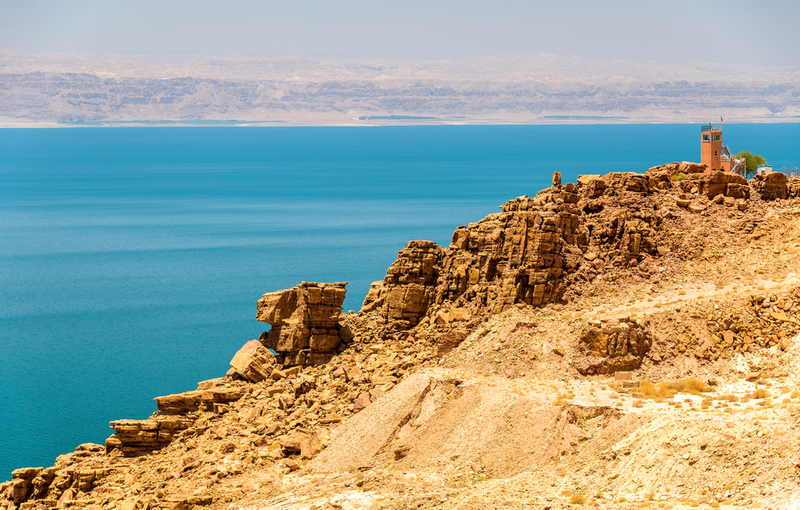 You will find great photos around the world to inspire your next travel destination. 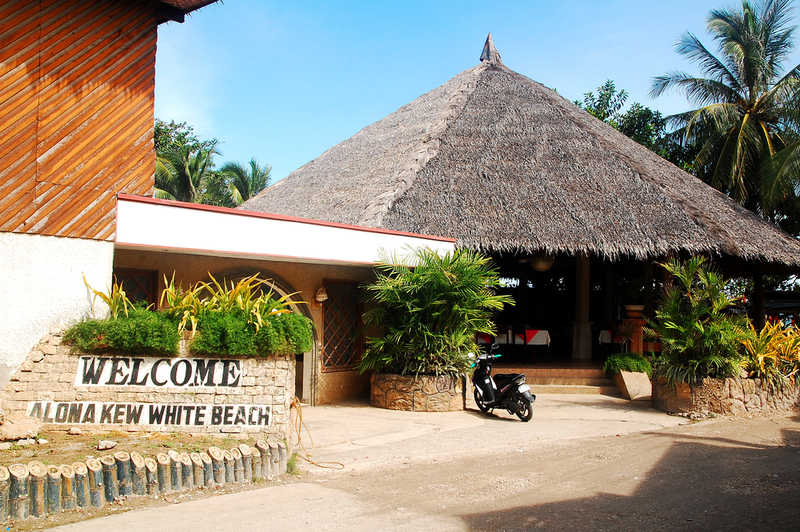 I hope you will enjoy the stay at Worldly Resort.